Growing up as the only child, I received love from all of my family;grandparents, parents, aunts, and uncles. Since I didn’t know how to give love and was just familiar receiving it, it was still the same for me in Zion. I was a sinner who thought that Their love was reasonable. Mother always emphasizes to ‘give love’. the love that Heavenly Mother continuously gives us. I recently heard general pastor’s sermon about Mother’s love. Reading Corinthians chapter 13 verses 4 to 7, I questioned myself when I could give this kind of love. When general pastor said that this love is ‘the love that comes from Mother,’ my mind became vacant. Even when I didn’t follow complaining that, ‘I can’t do it,’ ‘it is too difficult,’ ‘how can I give this kind of love,’ Mother was giving me that love that was difficult for me. Mother was always giving this extremely boundless love, the love that considers more of Her children instead of Herself. Mother, I now realize that You are the true nature of love. Please forgive this arrogant and foolish sinner. Please let me be the child resembling Mother’s love, and be the one who fully spreads Mother’s love in this whole world. I will throw away my selfish self, and deliver Mother’s love that this world does not contain. 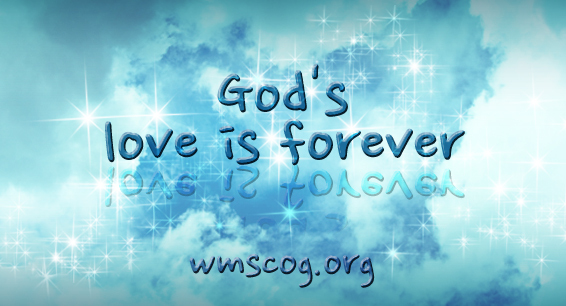 Share the post "The Love of God “Corinthians Chapter 13”"
I can realize the true love through the sacrifices of our God the Father and God the Mother at last. I’d like to resemble our God . Because I am a child of God. I can do it. We can do it ! A juvenile novel, “The Giving Tree” reminds me of the love of Heavenly Mother. All through the verses of 1Co 13:1~13 press on me to recognize the love of Her. How gracious and selfless of Her love! As the Bible says that “The greatest of these is LOVE.”, the most precious love incomparable in this world is our Mother’s LOVE…!